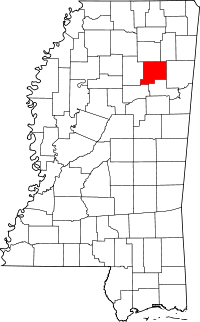 Like multiple counties in Mississippi, Chickasaw County has two county seats. Houston and Okolona both serve the role, and the Chancery Clerk for the county has branch offices in both towns. Those wishing to acquire copies of or research property, divorce, and other records for the area can visit either one of the two offices, both of which are located within the respective town's courthouses. In addition, the Chickasaw County Historical & Genealogical Society, Inc. is also located in Houston, and operates a Heritage Museum of the county as well as a research library. While all the Society's resources are available and open to the public, membership, which is $20 per year per person, carries some benefits with it, such as easier access to resources. The Society also has members who are willing to assist with genealogical research projects and will help direct inquirers on the best places to obtain further information. Note: Prior to 1988, all county land records here. 1988-1999 land records for 2nd District (Okolona) are only at Okolona. Both on public access terminal starting 1999. Note: 2nd district is split by section, township and range. Carroll County's 2 recording offices must be searched separately.